County executives Mangano and Bellone announced that the odd-even gas rationing, implemented a week ago to mitigate the gas crisis caused by Superstorm Sandy, will end on Friday at midnight. 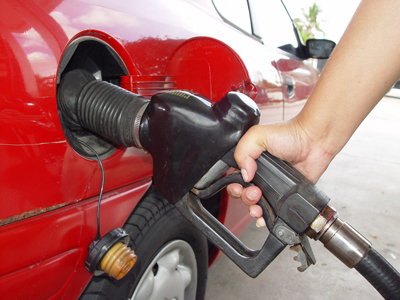 Odd-even gas rationing will end in Nassau and Suffolk counties at 12:01 a.m. Saturday, Nov. 17. The end to the rationing plan was announced by county executives Steve Bellone and Ed Mangano on Thursday. The rationing plan only lasted a week, as Gov. Cuomo hesitated several days to impose the plan. New Jersey Gov. Chris Christie instituted the same policy in his state days ahead of Cuomo as gas shipments were interrupted by storm damage, and lines at the pump in many cases stretched for miles. The crisis was also exacerbated by the long-term energy outages reported by LIPA. Suffolk County had instituted its own rationing system during early recovery efforts, allowing one tank of gas per customer. While commercial vehicles, taxis and livery vehicles, emergency responders and customers filling gas cannisters were exempt from the rationing plan that was set in place following Superstorm Sandy’s gas crisis. Odd-even gas rationing will continue for all motorists in New York City. License plates ending in even numbers will only be permitted to purchase gasoline on even days, and drivers of odd-numbered license plates will only be permitted to purchase gasoline on odd days. Subject: LongIsland.com - Your Name sent you Article details of "Odd-Even Gas Rationing Ends Midnight Friday in Nassau, Suffolk"